It’s 2018 – new year, new habits, that’s my motto for this year. 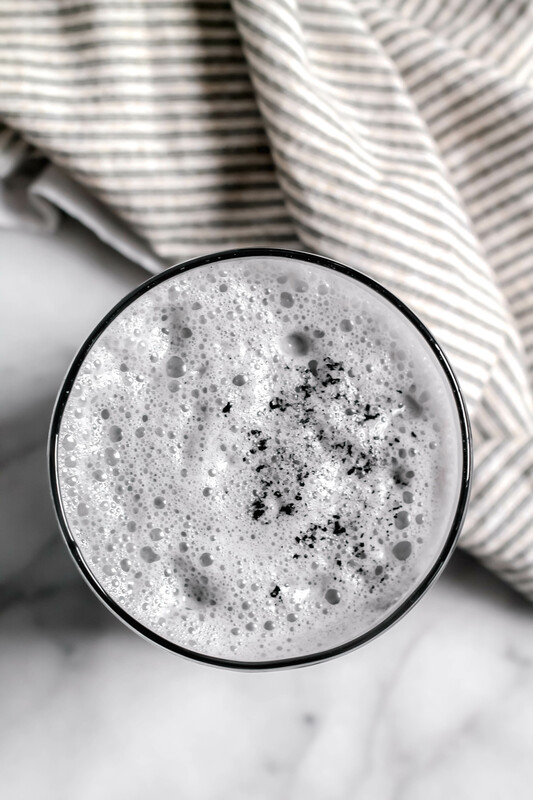 To kick off the new year on the blog, I’m sharing a recipe for a Detox Activated Charcoal Latte – a tasty drink that will help you detox after all the holiday indulgences! Welcome to 2018, friends! I hope your end of year celebrations were fun, festive, and relaxing – we’re currently traveling through Spain and Portugal and looking forward to getting back home and settling back into our routine and new healthy habits. Because that’s what life is right? A collection of habits that make us who we are. One habit I’m taking up and I did start this in 2017, is sipping on charcoal lattes. You might have seen them on Pinterest or on healthy living websites, and today I’m sharing my quick and easy recipe for it! You might be wondering, why would anyone want to even drink charcoal? Well, food-grade, activated charcoal is actually a powerful natural treatment used to trap toxins and chemicals in your body, making them easy to be flushed out of your system. It’s used in emergency rooms are the world to treat intoxications, drug overdoses, and poisonings. For regular consumption, I sip on 2-3 charcoal lattes a week, making sure not to over do it because it will flush your system. It’s also great as a way to alleviate gas and bloating, which we have a lot of after the holidays! You can read more about the ways you can use activated charcoal here. The activated charcoal I purchased was this one from Amazon, but you can get it from health stores and online basically anywhere. Just make sure it’s food-grade! This Activated Charcoal Latte is the perfect detox drink to sip on after the holiday indulgences! In a high-speed blender, blend all the ingredients until slightly warm and frothy. Pour into a cup and sip while enjoying the moment. Disclaimer: Make sure to do your research and consult your doctor before taking any new supplements like charcoal. Some information says it might be dangerous, but I did my own research and love including it in my diet a few times a week. I am a chef, not a doctor, so take my advice with a grain of salt. No. Just no. There is absolutely NO benefit to this unless you have been poisoned. It renders any medication (birth control included) useless. This is worse than the detox teas! Please note that activated charcoal, when ingested, can and will render most, if not all, medications useless by absorbing them. It also absorbs other beneficial nutrients from the body and offers no real benefit unless you’re actually poisoned. Thus I noted I am not a doctor and recommend asking your doctor before taking anything new to you! I do not recommend nor do I myself, drink them daily, but do think in small doses it is beneficial! Thanks for commenting!